The Flare+, when turned up, will fill my flat with music quite easily. This is thanks to the back-to-back full-range drivers, two tweeters, and dual bass radiators. You can really hear high frequencies with rich detail and jaw-dropping clarity, smooth mids, and a low-end that pounds with electrifying power. The Flare+ utilizes exclusive BassUp™ technology. A customized digital signal processor first analyzes, then enhances your music’s bass frequencies in real time. This audio signal is then turned into intensified sound via state-of-the-art neodymium drivers. The LED Halo offers 2 modes. Select Party mode to light up your party and amplify the atmosphere. 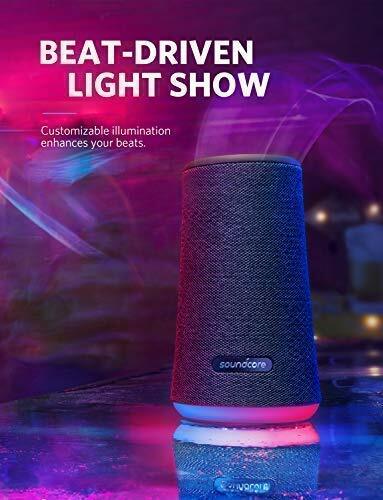 Sync the LEDs with your playlist and party the night away under the bright neon lights. As the party winds downs, switch to Bedtime mode, choose some ambient beats, and go from all-out partier to totally chill out. 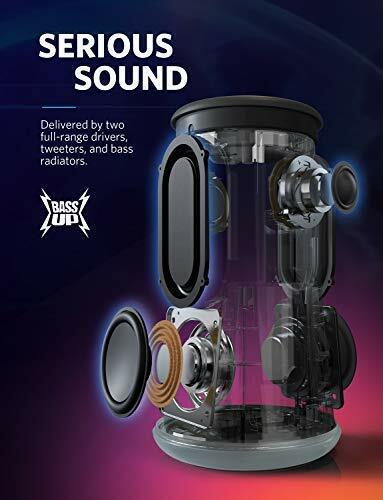 I loved that there will be more updates to this speaker over time and that more modes will be added. There is a 20-hour battery in that bad boy, so you know the party won’t stop when this gets going. I also liked how thanks to it’s IPX7 protection effortlessly withstands spills, rain, and even complete submersion in water. 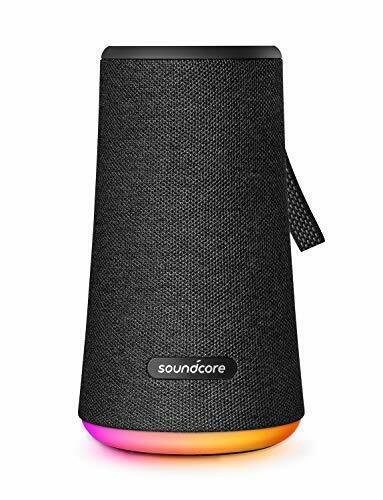 This is a party speaker, its loud, great bass and awesome sounds. I suggest you all get one for Chrismas!